In exactly one month, the explosive fifth season of Orange is the New Black will be released on Netflix, and to mark that occasion, the streaming platform just released a new Orange is the New Black Season 5 trailer — and OMG we are *shook*. Over the last few months, the cast has been warning us that this upcoming season will be incredibly intense and emotional, and from the look of it, they weren’t lying. The trailer shows the inmates of Litchfield Penitentiary working together to stand up for themselves and the abuse they’ve faced at the hands of the guards in the direct aftermath of inmate Poussey Washington’s (Samira Wiley) death. The explosive new season picks up right where season four left off, with the inmates revolting after Poussey’s unnecessary death, and will play out over the course of three days. The ladies decide to put aside their differences and stand up for themselves as empowered women who’ve been mistreated by employees of the correctional facility. After their riot, which started at the end of last season, the ladies will quickly take control of the prison. 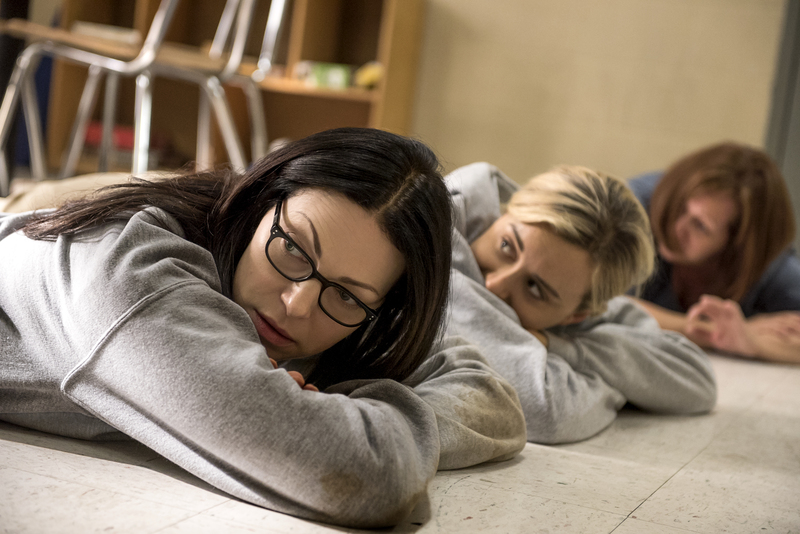 According to Netflix’s official synopsis, once the inmates take over Litchfield, chaos will ensue, and from the looks of it, the situation is going to spark some major media attention. Season five of Orange is the New Black hits Netflix on June 9th!